A 29-year-old woman told her partner that she loved her before dying just hours after being discharged from hospital. Jessica Wootten from Somerset had been staying at a holiday cottage when she suffered a seizure in the middle of the night. She was taken via ambulance to the Royal United Hospital in Bath. After several hours of monitoring, her condition improved and she was discharged. Returning to their cottage, the couple cuddled up and said ‘I love you’ to each other. Within an hour, however, Ms Wootten was dead, despite having no major known health problems. The full details of the tragedy were heard at an inquest at Avon Coroners’ Court on Monday, June 4. Avon coroner Terence Moore called a number of witnesses to the stand to formulate his conclusion into the death which occurred on Wednesday, August 23, 2017. Some written statements were also read out. One of the first called to the stand was Ms Wootten’s partner Elayna Thornton-Reeves, 49. The two had begun a relationship in early 2017. Ms Thornton-Reeves, who is from Kent, recalled the days leading up to the incident. She said: “We had been planning to go away on holiday for a while. We had already spent some time together in Yeovil in July of 2017. This was due to Ms Wootten having to visit the GP after coming down with a cold-like illness, something that eventually emerged to be a respiratory tract infection. 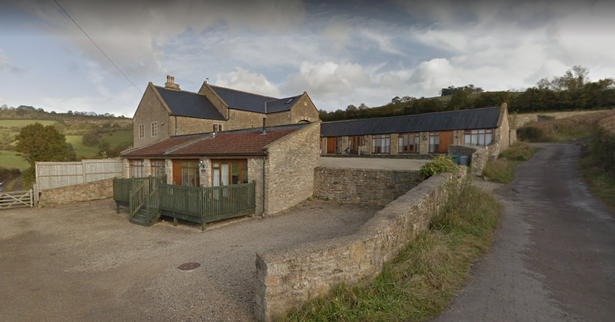 The two were due to rent a holiday cottage at Coombe Farm in Kelston, just outside of Bath. Ms Thornton-Reeves was the first to arrive while Ms Wootten visited the GP. During the visit to the GP, Ms Wootten, who lived with her parents in Langport, was diagnosed with a viral infection and given antibiotics. Ms Thornton-Reeves said: “During that time we exchanged a lot of messages. But I did start to get quite concerned. Eventually, however, the two met up in Shepton Mallet on the Tuesday at around 11am before heading to the holiday cottage just outside Bath. Ms Thornton-Reeves said: “She seemed fine when I met her at that point. Her usual bubbly self. To me she looked a lot better. "She seemed fine when I met her at that point. Her usual bubbly self." The two then arrived at the cottage at around 12.30pm that day. As the two had a long-distance relationship they had a lot of catching up to do. Ms Thornton-Reeves said: “We spent a while talking and catching up. She seemed like her normal self. Ms Wootten soon recovered from this episode and the two sat down to watch an episode of Holby City after having dinner. It was the programme that brought them together in the first place, having originally met online in a Facebook group for fans of the show. Ms Thornton-Reeves said: “Jess was tired so we went to bed and she fell asleep on my shoulder. Soon after that I remember waking up to this thud. Jess was having a seizure. “I managed to force her jaw open to make sure she would not swallow her tongue and I called the ambulance. There was something that looked like mucus to me in her mouth. “She wasn’t responding so I gave her one big hit on the chest and she responded immediately. The ambulance arrived within eight minutes and they decided that it was appropriate that she should go to hospital. 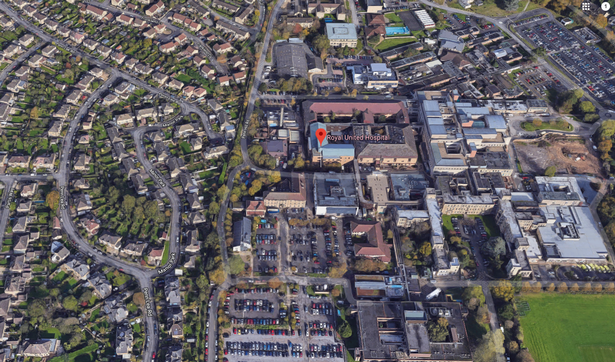 Ms Wootten was then taken to the Royal United Hospital in Bath. Ms Thornton-Reeves followed in the car. They arrived at around 1am and were seen first by a Dr Thorpe. Ms Thornton-Reeves said that despite Ms Wootten’s fear of the hospital, she seemed in good spirits. She said: “Jess was scared. She did not know what was going on. I did manage to calm her down and reassure her that going to hospital was the best course of action. Dr Thorpe, who saw Ms Wootten at 2.40am, carried out a number of tests. One of the first she carried out was a National Early Warning Score. This is used in acute and ambulance settings to help improve detection of and response to clinical deterioration in adult patients. At this point in the night Ms Wootten was given a score of eight. This is high and prompted Dr Thorpe to carry out a electrocardiogram test, something that measures the electrical activity of your heart to show whether or not it is working properly. It had been noted that Ms Wootten had a high heart rate. Other tests were also carried out and a test for sepsis was started. Sepsis, also known as blood poisoning, is the reaction to an infection in which the body attacks its own organs and tissues. "Jess was scared. She did not know what was going on. I did manage to calm her down and reassure her." Describing Ms Wootten’s condition while at hospital, Dr Thorpe, who was present at the inquest, said: “Ms Wootten had been unwell for the past five days. When she came to the hospital she had just experienced a seizure of around 90 seconds. “At the hospital she appeared fully intact psychologically and was alert. At first my main concern was meningitis. She had the signs of an infection. The results of the blood samples were not ready until 48 hours later, but Dr Thorpe said at the inquest that they showed no sign of bacteria or virus. The ECG was taken to see if there was any irregularities in the heartbeat. But it was noted that her heart rate was improving. Dr Thorpe said: “I gave her a revised NEWS score of four. So it went from an eight to a four in a matter of hours. “It reassured me that there had been an improvement in the patient’s condition. At this point sepsis also seemed less likely. “But at 3am intravenous antibiotics were given to cover for any suggestion of meningitis. Her condition was improving. A number of other medical professionals also checked in on Ms Wootten while she was at the hospital including Raul Ovejas, a nurse on duty in the resuscitation area of A&E. Dr Benjamin Arnold also checked in on Ms Wootten. He also noted her improvement while at hospital. He said: “I was reassured that even without treatment she was starting to improve. She was on a cardiac monitor the entire time and nothing suggested any issue. “With the benefit of hindsight, however, there was one abnormality with the ECG that I did not appreciate at the time. Despite Dr Arnold suggesting that Ms Wootten stay until midday, Ms Wootten was eventually allowed to leave at around 9.30am. She was not officially discharged until two hours later however. This was due to her having to return to collect antibiotics. Prior to this, Dr Anupam Garg had also called in to see her. His statement was read to the court. He said: “She was happy to go home. They were both agreeable to this. Her NEWS score had fallen considerably. Terence Moore, the coroner leading the inquest, also reviewed the treatment Ms Wootten received while at the hospital. He said: “She was admitted to the hospital at around 1am. She was seen by Dr Thorpe at 2.40am. At that stage Dr Thorpe gave her a NEWS score of eight. “As a result she was given an ECG and other tests were carried out. It was noted she had a high heart rate. The sepsis protocol was also carried out. “Over time her heart rate and blood pressure began to improve. Dr Arnold then checked on Ms Wootten at around 4am and reviewed the ECG at 6am. Describing the journey back to the cottage, Ms Thornton-Reeves said: “Jess did seem weak to me in the car and she was also drowsy. But I put that down to the fact we had been up all night in the hospital. “I had to help her out of the car up the steps and into the cottage. I suggested we have some sleep, this was at around 11.45am. “She said to me that she was feeling cold. Her hands were like ice blocks so I was holding both of her hands. Around thirty minutes later, however, Ms Thornton-Reeves said that she heard the thud again. She said: “She was on the floor but this time her lips were blue. She was grey and her eyes were partly open. Two ambulance vehicles and an air ambulance were sent to the cottage. Samuel Marsh and Steve Faulkner were both in attendance. They provided written statements to the court. Describing his arrival at the scene, Mr Faulkner said: “I had just left the RUH when I was called to a patient who was not breathing. “When I arrived I noticed a female sat on the bed visibly upset. The patient was under the bed with only her head and shoulder visible. Her jaw was also forced shut. “We had to lift the bed in order to access the patient. We tried a number of treatments but after an hour resuscitation was stopped. The coroner, Mr Moore noted that the recorded time of Ms Wootten’s passing was 1.50pm. The Wootten family was also at the inquest. Ms Wootten’s father, John Wootten was designated spokesperson. Mr Wootten also expressed some concerns at the hearing about the treatment at the hospital. He said: “I am surprised that she was able to leave the hospital. I do think that if she was being monitored then there may have been an indication that this was going to happen. Dr Karin Denton carried out the post mortem. After initially considering Ms Wootten’s death unexplained pending the results of a histology test, she was able to provide a more comprehensive conclusion at the inquest. This was cardiac arrhythmia caused by viral myocarditis. The former is an irregularity in the heartbeat while the latter is an inflammation of the heart. Describing her findings, she said: “My initial thought was that it was quite unusual for a young woman of 29 to die like that. Just one hour after discharge. “The first thing that leapt out to me was meningitis. But it turned out not to be this. I worked my way through the body carrying out an overall investigation but could find no obvious cause of death. So I concluded that histology would be helpful. “I am surprised that she was able to leave the hospital." This was then sent to Southmead Hospital to be studied under a microscope. The coroner also echoed the difficult nature of the case. 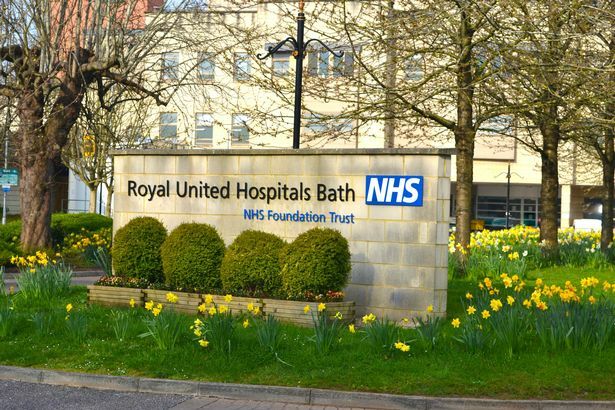 Dr Masani, who works for the Bath hospital trust, was on hand to address some of the concerns raised by John Wootten in the inquest. 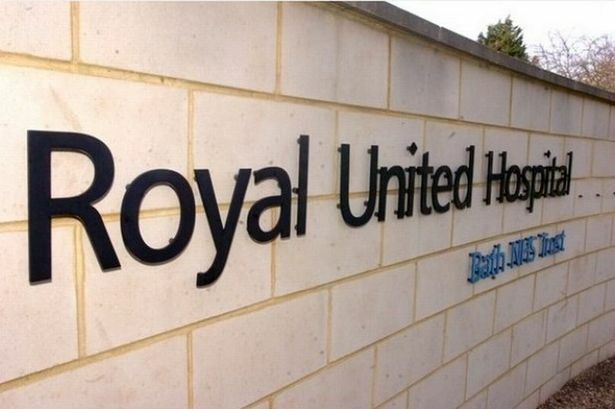 He said: “Following this incident we have performed a root cause analysis to see if we made any errors during our care and to see if we can learn anything. The error Dr Masani referred to was the destruction of some of Ms Wootten’s medical records. At the time the hospital had been using a different IT system to store data. Some of Ms Wootten’s data had not been updated on the IT system and the physical copies had subsequently been destroyed. He said: “This was a very, very rare cause of death. We will never know that if she had had this catastrophic event at the hospital whether she would have survived. “As for the time of her discharge, Dr Garg’s decision to discharge the patient would have superseded the previous suggestion of keeping her in until midday. According to the British Heart Foundation, myocarditis is inflammation of the myocardium - the heart muscle. Information on the condition is located on the charity's website, which reads: "It’s not related to lifestyle and there are no medical treatments to prevent it. "Most people suffering with myocarditis recover without complications, but in rare cases when inflammation is severe, there can be damage to the heart." The destruction of the medical documents was also something that was addressed at the inquest. Nuno Aguiar, who was at the time of the incident the administration manager for the emergency department at the hospital, spoke to the court. He said: “Some of the notes were updated in the system and some of the notes were not. This is due to a human error. Since the time of the incident, however, the RUH has updated its processes and made improvements. Mr Aguiar said: “There is a better process now. We do make sure we keep the original notes for as long as we need them. 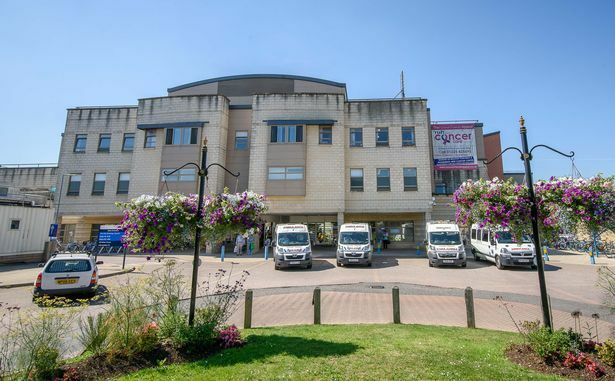 Concluding the inquest, Mr Moore, said: “Dr Masani said that he did say that the hospital had fallen below standard in some areas but none of this had contributed to Jessica’s death. I believe this. 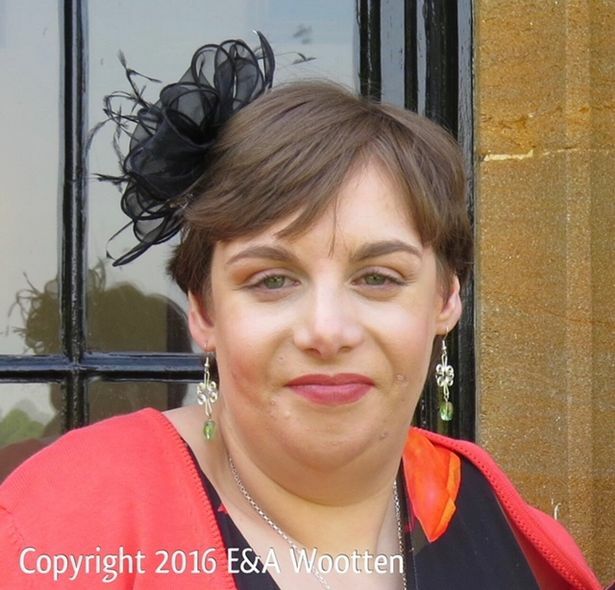 Since the death, Elayna Thornton-Reeves has been raising money for Great Western Air Ambulance in memory of Ms Wootten. She is hoping to raise £1,000 and has so far raised £535. The fundraising page can be found here and she is would appreciate any donations. Writing on the page, Ms Thornton-Reeves described her relationship with Ms Wootten: “I was very very lucky to have had the opportunity to meet and have a relationship with the beautiful Jess Wootten. “She was a truly amazing young woman, 29-years-old, with a heart of gold and I loved her deeply. “Sadly she was taken from us and by way of a tribute to her I am organising a collection for funds to go to South West Ambulance Service and the Great Western Air Ambulance who worked so hard for 50 minutes to try and save her life. Ms Thornton-Reeves has also set up a tribute website for Ms Wootten. On there she has shared details of their relationship and how you can donate money towards the fundraising campaign. Detailing their relationship on the tribute page, Ms Thornton-Reeves said: “We began having a relationship and I can safely say that we fell very deeply in love with each other. “Jess was the happiest she had ever been and her confidence just grew day by day. For me I had never felt like this about anyone, Jess made me feel so alive.